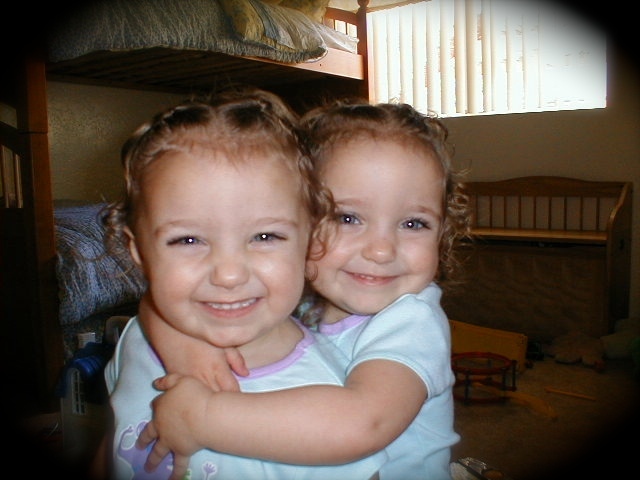 I get asked a lot of questions about how it is raising twins, especially identical twin girls. Many of you may not know that my husband is actually a twin, growing up with a fraternal twin sister. When we found out we were going to have Brooklyn and Bailey, my husband set out a bunch of rules of how to raise them based upon how he felt being a twin as a child. He loves his twin sister a lot, and often confuses my name with hers in conversations about his childhood, but he said it was hard being lumped into everything together, being called “the twins” and having to share birthdays, etc.